Lisa is certified as an Advanced Rolfer® and a Rolf Movement® Practitioner, the highest levels of certification offered by the Rolf Institute. She received her initial training in 2001 - 2002 after more than two decades of experience in other bodywork and movement modalities. Since then, she has completed hundreds of hours of continuing education in Rolfing® Structural Integration and Rolf movement, as well as continuing studies in yoga, Pilates, and, dance. Most recently, Lisa became a Guild Certified Feldenkrais Practitioner, after completing a 3.5-year, 800-hour training in the Feldenkrais Method® of somatic education. She has been teaching Feldenkrais Awareness Through Movement® classes and workshops since March, 2016. 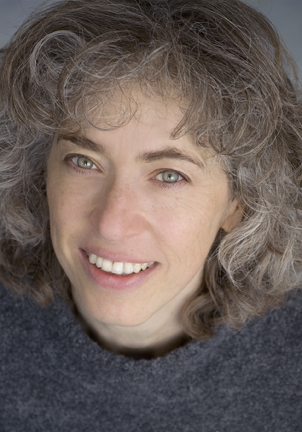 She has also taught anatomy to massage students and yoga teachers since 2005, and has co-led two five day workshops at Esalen Institute in somatic pychology and developmental movement. One of Lisa's particular strengths as a pracitioner is that she is able to work on different levels with different clients. Many people come to her because they have pain, in a shoulder, knee or neck, for example. Others come to her wanting exercises to strengthen or stretch particular areas of their body or to improve their performance in sports or other activities. Some clients have broader goals, such as improving posture or gaining flexibility. Finally, some clients' goals have more to do with quality of life or emotional issues; they are wanting to get more in touch with or feel more at home in their bodies, or looking to free particular parts of their bodies in the hope of shifting emotional patterns. Lisa is happy to work with clients on any or all of these levels, responding to their own needs and agendas and organizing sessions in ways that help them get what they want from the work.